Non-compete disputes almost always turn on whether the agreement is reasonable or supports a legitimate business interest. Rarely do they depend on whether the contract was signed in the first place. But that was in fact the principal issue in another case involving IBM and a high-level executive. This case involved the departure of David Johnson, IBM's former Vice-President of Corporate Development, who left IBM earlier this year to take a position as Senior Vice-President of Strategy with Dell, Inc.
IBM immediately filed suit seeking preliminary injunctive relief against Johnson for breach of a non-competition agreement that was purportedly signed back in 2005. Johnson defended on the basis that he never properly signed the contract - and never intended to be bound to the same. The district court agreed and denied IBM's request for injunctive relief, opining that IBM faced a near insurmountable case at a trial on the merits. Johnson, a highly paid and long-time IBM employee, was clearly reticent to sign a non-compete agreement for one overriding reason: he had foregone an opportunity to become a general manager at another technology company in reliance on assurances he received that a similar opportunity would be made available to him at IBM. That opportunity never came to pass. In 2005, IBM began requiring its executive to sign non-compete agreements as a condition of receiving equity grants. Johnson attempted to buy as much time as possible and delayed signing his contract. 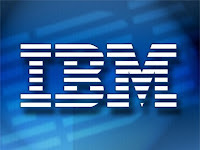 Eventually, he pulled what turned out to be a brilliant move - he signed the agreement on the line designated for IBM. Johnson returned the document to IBM, and it was clear this caused a great deal of confusion among human resources employee and in-house lawyers. In reality, Johnson's move could have backfired because, as the court noted, his ambiguous "acceptance" of the non-compete agreement meant that he assumed the risk of how IBM responded. Put differently, IBM's reaction was critical to determining whether the agreement had ever been truly accepted as a matter of New York contract law. So what did IBM do? They repeatedly tried to get Johnson to sign his agreement again, imploring him on several occasions to return a properly executed contract and threatening to withhold equity grants. In short, IBM clearly believed Johnson had not intended to be bound when he signed the non-compete on the wrong line. Johnson himself testified he did this simply to buy more time. IBM's general counsel even told Johnson to save any documentation from human resources about its efforts to get him to sign another contract. 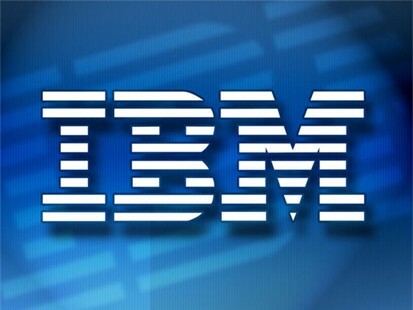 The facts demonstrated that IBM's reaction to Johnson's ambiguous acceptance was clear. No one believed he had intended to be bound by the non-compete, and no one believed his clever misdirection created a binding contract. So are non-competes legal in NY?